The fossil was collected in the Aix en Provence region, France. 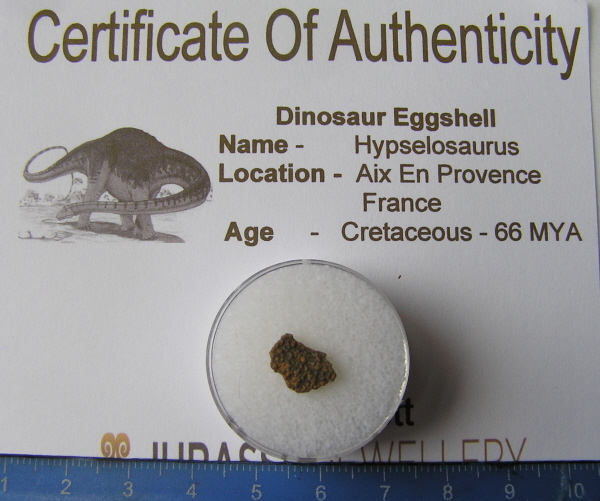 This is a more rare fossil to find and this is the first I have ever offered in nearly 9 years of selling fossils. The piece of shell measures 9mm across. What Hypselosaurus shell IS available ( and there isn't much ) it is usually smaller pieces than this!